The Agilent N8262A P-Series modular power meter enables LAN-based automated measurements of peak, peak-to-average ratio and average power. The N8262A enables fast, efficient, and cost-effective creation and reconfiguration of your ATE system. Owing to LXI test standardization and its interoperability with existing test assets, your system can be up and ready in no time. Unlike PXI or VXI-based interfaces, the N8262A contributes to a lower cost of ownership with its LAN interface. 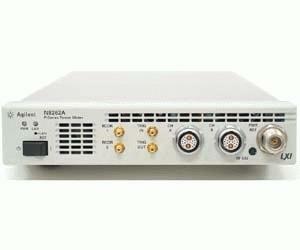 Other features include its 30 MHz wide video bandwidth and its code-compatibility with P-Series and EPM-P power meters.